-Consumption/Listening continues to grow (at the beginning of 2016, Edison Research reported that 55% of Americans were aware of podcasting existence (compare that to 22% in 2006), and 36% had listened to one). -Podcasting has grown from a passion/hobby project to a full-time commitment for many, and corporations and broadcasting giants are Returning to it for a more direct connection with clients and listeners. -As podcasting boomed and producers turned towards the ever growing possibility of revenue, both positive and negative consequences emerged. -As the number of podcasts multiplies, it’s important to make original, quality content, and not churn out copycats of what’s already out there. -As a testament to podcasting’s growth in 2016, many podcast-centric events were held last year, catering to those both in- and outside the of the industry, with some returning and others new to scene. Spreaker staff got to attend and sponsor our fair share this year — among them NMEU, NRB, and JPod — and each provided its own perspective and insights. -For example, at Radiodays Europe, an event that’s usually more focused on the radio and broadcast industry, podcasting was a main topic of interest; more and more traditional networks are trying to find a way to merge their traditional approach with the new medium. -Podcasting has officially taken over the world with the inaugural Asia Pacific Conference taking place back in February in Auckland, New Zealand. -The biggest event to mark the success of the industry was Podcast Movement, which was even bigger and more bustling than last year. Spreaker team members got to go to Chicago and meet lots of new podcasters ready to get behind the mic, and take the pulse of what’s new in the biz. Podcasting really came of age in 2016 with its modest and steady rise in consumption, and producers are looking to keep up with the demand with quality products that sound and feel professional. -With that in mind, we set to work on our apps for both our creators and listeners. -We introduced the Epidemic Sound Library, full of quality audio tracks to pick and choose from, as well auto-ducking, to the Spreaker Studio console. -That dedication to content also lead to the ability to plug in chapters throughout episodes that can mark and enrich segments with outside links, titles, and images, giving your listeners a complete sensory experience. -From a management point of view, we introduced the CMS, or content management system, in order to streamline the entire podcasting process. Setting up and scheduling episodes, adding titles and images, retrieving code and customizing the embedded player, and enabling auto-sharing to social networks all get taken care of from a single dashboard. 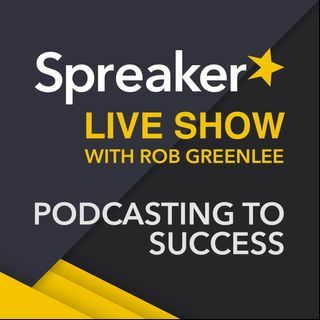 But listeners are just as important as podcasters, and the need for a simpler listening solution, through which you can find and save great podcasts, is a definite priority at Spreaker. -This year we updated Spreaker Podcast Radio on iOS to match our Android counterpart, and added auto-generated personalized playlists set to your tastes, a favorites section for your all most listened-to podcasts, and curated lists created by our own team and fellow partners. -Auto Downloads and Channels are coming soon in 2017 to iOS app. Hey Rob, Interesting show with Ray Ortega. Thanks. But I found it a bit ironic. While listening to Ray intently to learn about mics, I felt that Alex always sounds louder and clearer than Ray did. Alex always sounds as if he is in the room with you. Ray sounded to me as if he was coming through Skype or some other way. I know Ray is a bit soft spoken and of course way more soft spoken that Alex, but his volume seemed a bit low. Curious what you or others think. I prefer Alex's sound and volume, easier to listen to while I'm driving in my truck at work. Happy New Year to you and everyone at Spreaker,and the Spreaker live family! One of the shows I am affiliated with does Google Hang Outs On Air and the host runs through a desk top Spreaker app. Tracks cannot be played on the Hang Outs, only on the Spreaker channel. This makes for a lot of extra post-production work for me when I have to add those in for the video later. Perhaps there is a way what is streaming from the app can also be on Hang Outs? Linda, It does not limit listeners, but does limit the keywords used to enable being found in search based on those tags, but tags are not the only basis for the search results. Linda, Take a split off of your headphone or speaker out and run it into the microphone in on a second computer. That should do it. Trying to get what you hear streaming into the Spreaker app to also be what is streaming through Hang Outs to You Tube. I will suggest second computer. Does the fact that Spreaker only allows five tags limit our potential listeners who search? This is the full uninterupted version of the show.